For any and all pooch appointments: the vet, grooming, bathing, teeth cleaning, etc. If you have to work late, or the only time you can make an appointment is during working hours, and you just can't take them yourself, Pooch Troop would be happy to! Safety is our number one concern when transporting pets. 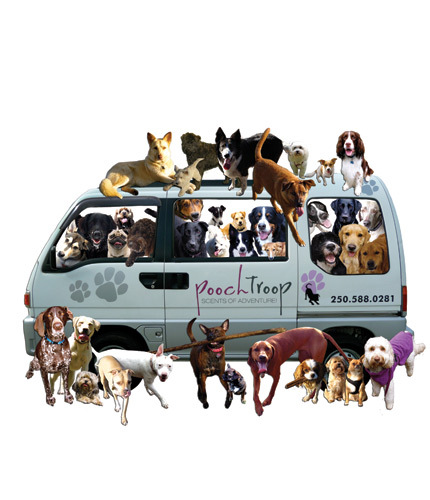 Our van comes equipped with harnesses and seat belts for each dog, or if they are crate-trained and prefer, any sized crate will fit.